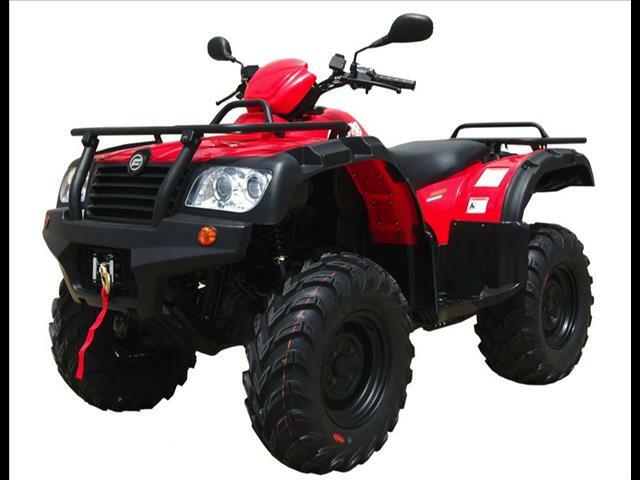 Introducing Australia&apos;s best value ATV - a workhorse suited for the farm or simply fun. A rugged performer, the CFMoto comes standard with a list of features representing unparalleled value. A powerful 500cc liquid cooled engine and CVT transmission (continuous variable transmission) provides on call and manageable power. To further enhance versatility, the rider also has the ability to electronically select between 2WD & 4WD modes, HI and LOW ranges and lock the differential when extra traction is required. A solid independent rear suspension (IRS) package helps minimise body roll and ensure a smooth and stable ride. The 19 litre fuel tank allows the CF500 to run for hours and the front and rear racks come in handy for cargo. The CF500 is supported by a one year limited factory warranty and nation-wide dealer network.